It’s been a fun week. The kids and I drove to Idaho for most of the week, Spokane for most of a day, and then Seattle for two days. Today we did touristy Seattle stuff. Visited the Space Needle, the science fiction museum, and a bunch of shops along the pier. I’ve seen RijilV every day I’ve been here and will see him tomorrow too. I haven’t seen him since he left Alton 4 years ago. 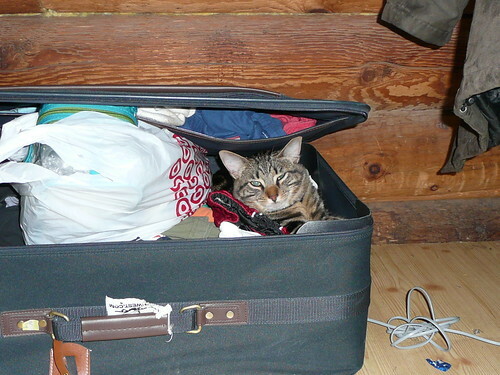 We brought our cat with us for all of this. He did great in the car and with the other animals. The kids have probably spent a total of about 5 or 6 hours in the hotel pool since we’ve been here. And we’ll probably hang out there for another 3 tomorrow before we start driving back to Oregon. It’s been a fun trip and I’m glad I finally got to take the kids to Seattle like I’ve been meaning to do for the past 2 years that I’ve lived in the Northwest. Next on the list…San Francisco. Here’s a few pictures of this week. The modern Internet has ruined photos of cats for me that aren’t captioned with misspelled baby-talk in the Impact font. Give my best to RijilV and the kids! The person who took that picture said, “This will make a great LOLcat picture!” I’ll probably submit it to their site since I’m a subscriber there.